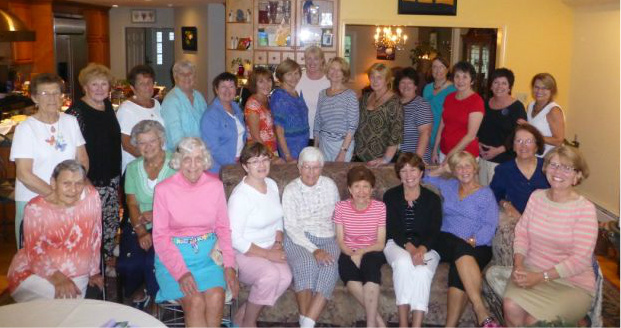 All women of the parish are welcome to join the Ipswich Catholic Women's Club! Dues are only $15/ year. The group meets Oct, Nov, Dec, March, April, and May with programs that are educational, inspirational, and spiritual, including a fabulous home cooked Harvest Dinner (cost $15.00) and a festive Christmas party complete with a fun yankee swap. Most importantly, this is a great group of ladies that support each other and share joys and challenges in life. If you have friends in a nearby parish, please invite them as our group includes members from the local area not just OLOH. Whether you are new to the parish or have been here for many years, we welcome you! For more information call the rectory office at 978-356-3944.